Author: Kemp, Debra Set In . . . 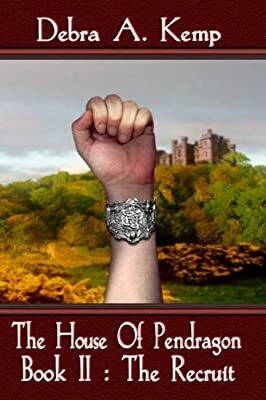 In the long-anticipated second novel of her original House of Pendragon series, Debra A. Kemp continues the extraordinary story of King Arthur's estranged daughter, Lin. Adjusting from her life as an orphaned and abused slave to that of Arthur, the Pendragon's daughter does not prove an easy task for young Lin. She struggles to adapt and find her place within the sumptuous palace walls of Camelot. Her mother, Queen Gwenhwyfar, expects Lin to conform to the life of royalty and the duties of a princess, including an arranged marriage. But having survived the cruelty of life as Modred's slave, Lin wants more than a tedious life of weaving and gossip within the world of women. Rejected by her cold, unloving mother, Lin seeks the role of training to become a soldier. Her fighting spirit meets resistance at every turn. Can Lin prevail as a recruit in the Pendragon's army? Or will her past return to haunt her?